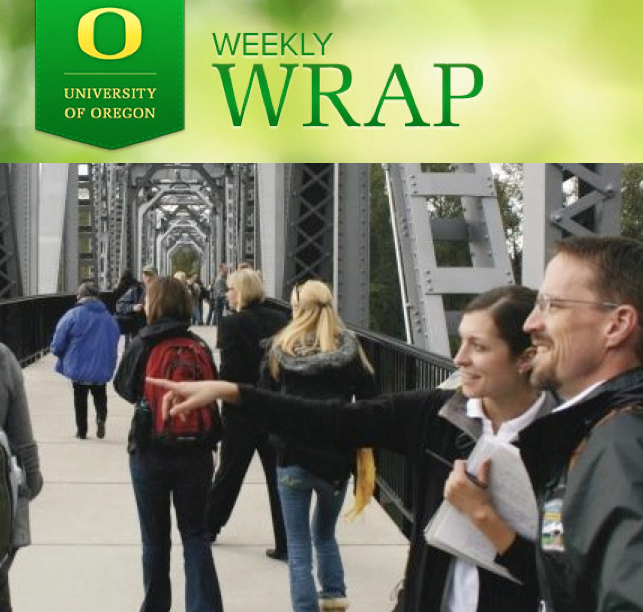 The Chronicle of Higher Education: The UO’s Sustainable Cities Initiative is called “one of higher education's most successful and comprehensive service-learning programs,” that schools around the country are beginning to emulate. Bloomberg: Warsaw Sports Marketing Center Director Paul Swangard comments on the growing prevalence of soccer in the U.S. The Washington Post: Grant Jacobsen, of PPPM, surveyed senators’ voting records and found that senators are less likely to vote for green initiatives when their state has high unemployment. Inside Higher Ed: UO Psychology Professor Phil Fischer discusses research on an infant’s ability to pick up on the tone of conversations around them. AroundtheO: Neuroscience and African Studies professor Janis Weeks will pursue an innovative global health and development research project with help from a grant from the Bill & Melinda Gates Foundation.